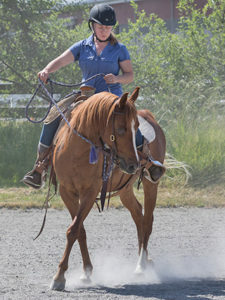 Maggie was put into the training program in order to address some significant fears about allowing her hind legs to be touched or handled in any way. She has made great progress in this department and just yesterday was deemed “almost normal” by the farrier. 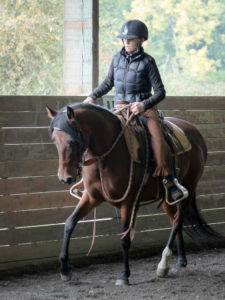 We have also discovered that she has had some under saddle training. 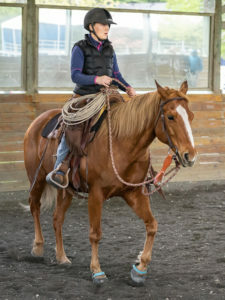 She had her first ride a few days ago and was a very good girl! So far we have only walked but she was obedient and well mannered the whole time. Our trainer, Heather, is looking forward to finding out exactly how much she knows.